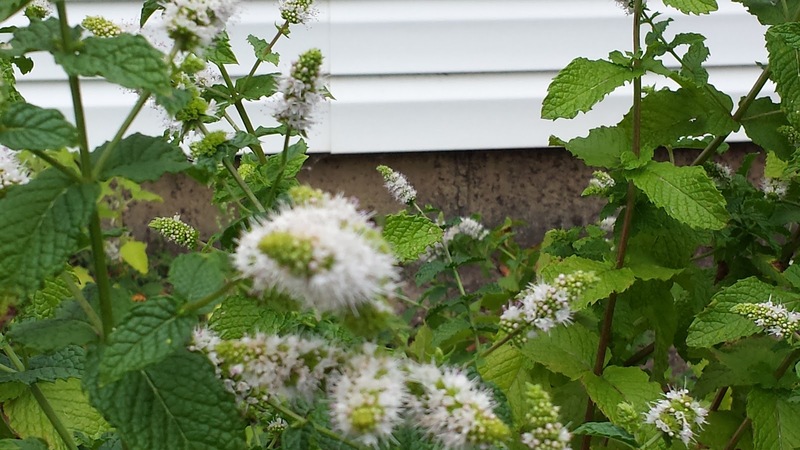 The mint in my garden is in bloom so the bees are busy pollinating. I probably shouldn’t have taken these photos because just as I snapped the second one a bee flew at me and nearly stung me on the hand. 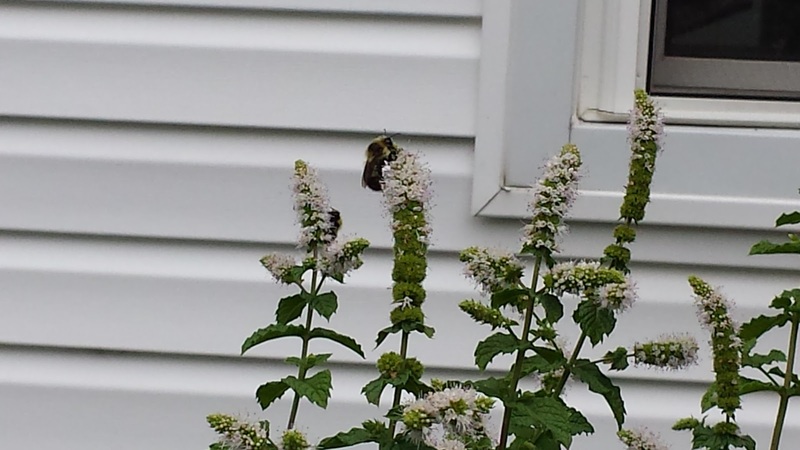 Out here the bees get pretty active when the weather starts to cool down. It feels like fall already. Have the bees been active where you live?